The Marco Polo blockchain platform has moved one step closer to production, having facilitated its first live, commercial pilot transactions. German banks Commerzbank and LBBW have used the platform for two commercial transactions between technology company Voith and pump and valve manufacturer KSB. Launched in September 2017, Marco Polo is a technology project led by TradeIX and a consortium of banks to build an open account trade finance platform powered by R3’s Corda blockchain framework. The aim is to simplify and speed up the processes behind open account trade finance services throughout the trade cycle, with receivables finance and payments commitments being the first products tested on the platform. The project completed its first proof of concept in February 2018 and has since grown to become one of the largest networks in trade finance. It now has 17 member banks including Alfa Bank, Anglo-Gulf Trade Bank, Bangkok Bank, BNP Paribas, Commerzbank, Danske Bank, DNB, ING, LBBW, Natixis, NatWest, OP Financial Group, SMBC and Standard Chartered. Members have been testing the platform since October, but so far pilots have only involved dummy data. The announcement of a live pilot transaction by Commerzbank and LBBW thus marks a significant step forward in the network’s journey towards production, which is scheduled for the second half of 2019. The two transactions involved the export of special hydraulic couplings from Germany to China, and the sale of pumps within Germany. They saw the flow of information exchanged through the Marco Polo platform: the companies used the solution to agree order and delivery details, and the buyer’s bank provided a conditional payment commitment. After delivery of the goods, the buyer entered delivery details onto the platform, which was automatically matched with previously agreed data. This finally triggered an irrevocable payment obligation on the part of the buyer’s bank. 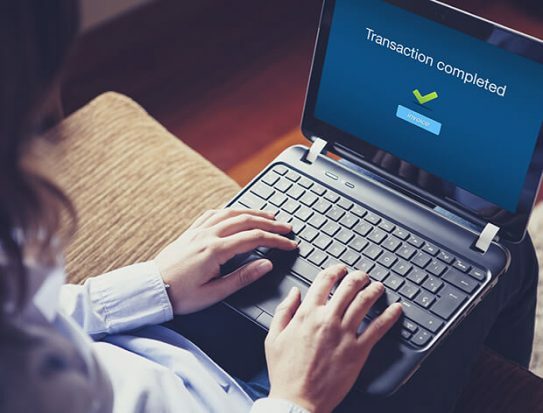 This is a process that traditionally involves several intermediaries and a large number of physical documents, making it highly complex and labour-intensive to secure payments of commercial transactions. The platform also enabled the supplier to receive financing for the transactions from its bank. In a statement, Commerzbank and LBBW say the next step will focus on “the complete execution of transactions via the Marco Polo network with a direct connection to the customers’ management systems”. This should make the process more seamless for the customers. Other participants in the trade ecosystem, such as transportation and insurance companies, will also take part in future transactions, the banks add. But there is still much work ahead for the network, explains Gerald Böhm, head of guarantees and trade finance at Voith. Marco Polo banks, together with TradeIX and R3, are already spearheading such a project to create open trade and technology standards, called the Universal Trade Network. The hope is that this project will develop protocols, standards and frameworks that can be adopted by the industry as a whole, thus promoting interoperability among the numerous blockchain networks that have flooded the trade finance space over the last two years. Another key blockchain platform addressing open account trade finance is the Hyperledger Fabric-based we.trade. This solution is already in production with 14 banks across Europe. Speaking to GTR recently, Dani Cotti, who heads up the Marco Polo initiative at TradeIX, said he does not see this as a challenge for project Marco Polo.